Cover image from When I Was Old, Georges Simenon's diaries from 1960-1962, recently re-issued in Penguin Classics. 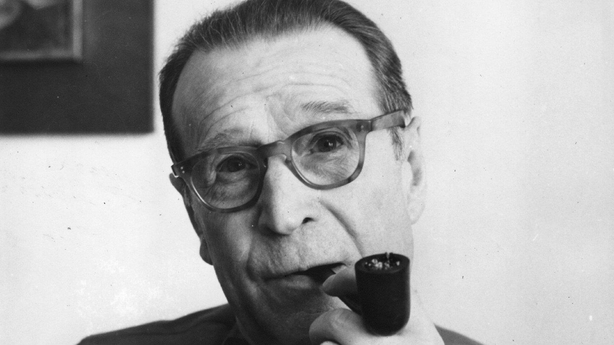 Back in 1960, when he was 57, the best-selling author Georges Simenon, who has 500 novels to his name, the best-known of which are the Maigret tales, began filling a few notebooks with diary entries. These notebooks were not written with a view to publication as such, they were meant as an account for later on, to be read in the future by the three children he had with his second wife, the Canadian Denise Quymet, to whom he was at that time still married. He already had a son, Marc, by his first wife, from whom he was divorced. Marc was a young adult at the time, he lived elsewhere. If indeed his children choose to read the entries in 1970, when they were first published in French as Quand j'étais vieux (or in English, two years later in 1972, by Hamish Hamilton) Johnny, Marie-Jo and Pierre would have found the world-famous crime author’s reflections on a variety of subjects. There he was expounding on primitive man, evolution and natural selection, along with somewhat tedious notes on his writerly schedule. There was the discipline of getting the head down, the anxiety and even nausea that afflicted him before he began certain novels, the writing of which typically involved prevarication and procrastination. Unfortunately, he goes on far too much about that discipline and motivation stuff here. Cuba, Kennedy and Khruschev, the Cold War, Lumumba’s assassination, deadly strife and infant mortality in the Congo, such were the things he took notice of in the newspapers and saw on his TV news at home in Lausanne. In a village near that Swiss city he lived a comfortable life, with staff, maids and secretaries, not just for himself, but also for Denise. In the diaries, Simenon incessantly analyses his image and how he has been judged or misunderstood by the many journalists and authors who have regularly beaten a path to his door - they all asked the same questions and some of them hadn’t even read his books. Yet he usually turned away no one, declaring a wish not to offend. He himself had been a journalist in his native Liege in Belgium and in his early days as a novelist, he had been something of a hack writer of fiction. Both these facts from his early life might explain his interest in entertaining journalists and photographers, some of whom did not make flying visits, but spent days working on their story, sometimes staying in the house. One suspects he liked all the attention, even though he is careful to mask any such impression. Writers in the main enjoy encounters with journalists, they get to talk about themselves, they get to tell self-deprecating jokes, they learn more about themselves and their work through the interplay of question and answer with strangers. On top of all that, they get their picture taken, even if they pretend in some cases, not to like getting their picture taken. 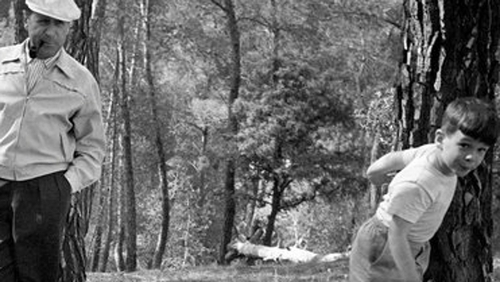 Simenon was no exception, and truth to tell, he never looked uncomfortable sucking that pipe in the many black-and-white images that must exist and in the documentary footage that can be found on Youtube. There is some plain daft stuff in here too from the family man and the satyr. We never hear his wife Denise's side of the story, but, as he saw it, his spouse, who was 17 tears his junior, was tolerant of his marital infidelities. This was, most likely, wishful thinking on Simenon's part, given the fact that the couple divorced in 1964, just two years after he finished the diaries. As for his constant sexual roaming, there were the women he met in the normal course of events - sometimes for exceedingly quick encounters in very risky situations - and there were also the `professionals’ as he delicately calls prostitutes. Did he really think this stuff would never get published? 450 pages odd, in Helen Eustis’s fine translation, from an odd, but mostly unpretentious individual, who, when all was said and done, also had a discernible moral streak and sense of fair play.